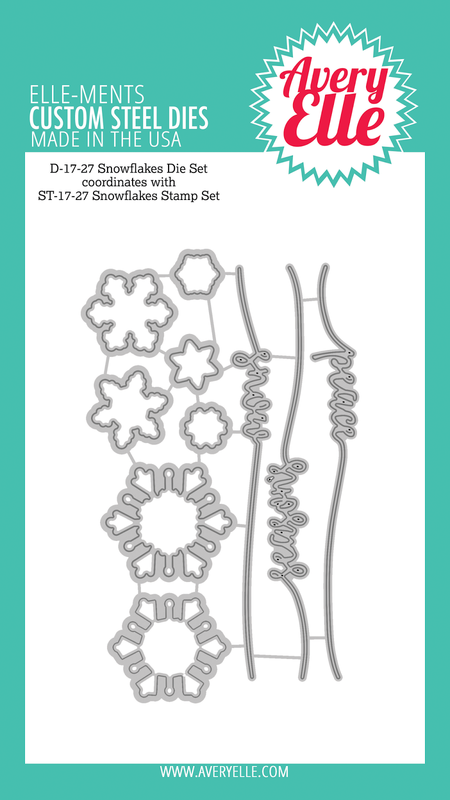 This week we are featuring our lovely Snowflakes stamp and die set. I hope that you enjoy all of the inspiration this week! Hi there, it's Caryn Davies here today sharing a bright and festive holiday card featuring the gorgeous Snowflakes Clear Stamps. 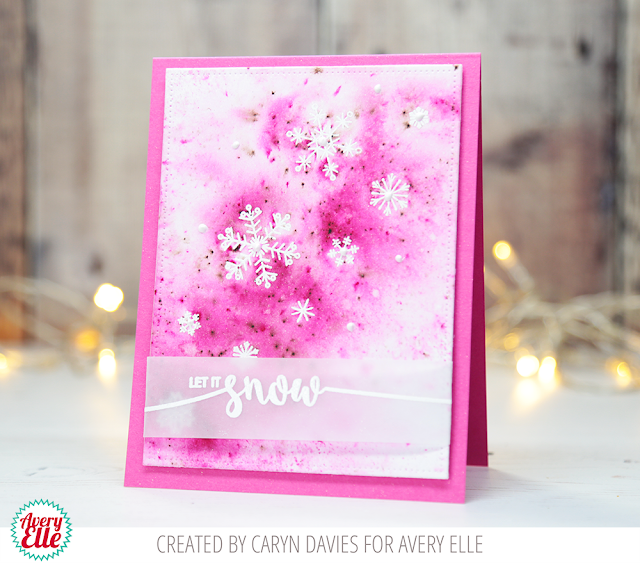 I know bright pink isn't the traditional colour you would think to pick for a snow-themed card but it's the holidays - anything goes in my book and the brighter, the better!! 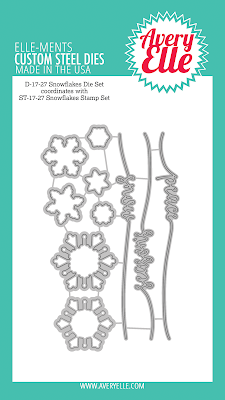 I started with a pink 4 1/4 x 5 1/2" base card and die cut a rectangle mat from white card and heat embossed a flurry of snowflakes onto it in white. 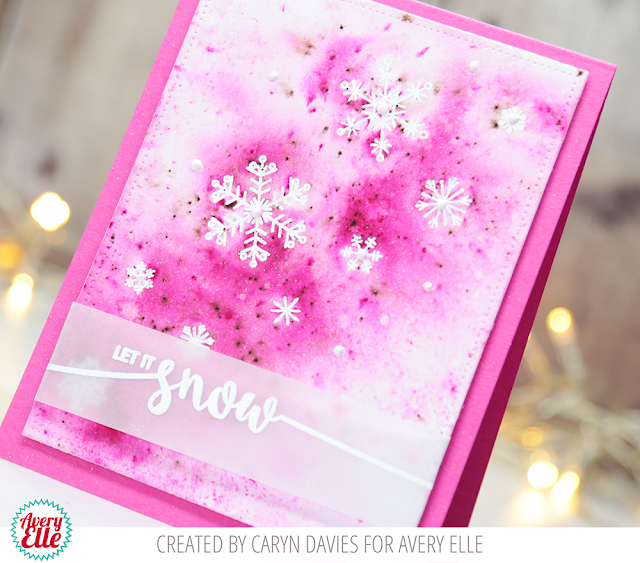 I then took some Magenta Infusions powder from Paper Artsy (available at Simon Says Stamp) and sprinkled it over the snowflakes. You may think there's nothing there and be tempted to add a ton of powder - DON'T! As soon as you add a spray of water over the powder the intense pigment just comes alive! You can add more obviously and dab off where you want but these powders are just so much fun. 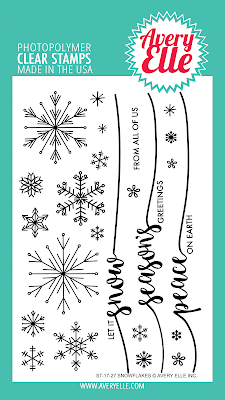 Once it had dried I used the Let It Snow sentiment and heat embossed a strip of vellum in white. I wrapped it round the panel and mounted it all onto the card base. To finish I added a few dots of white Nuvo Drops here and there. 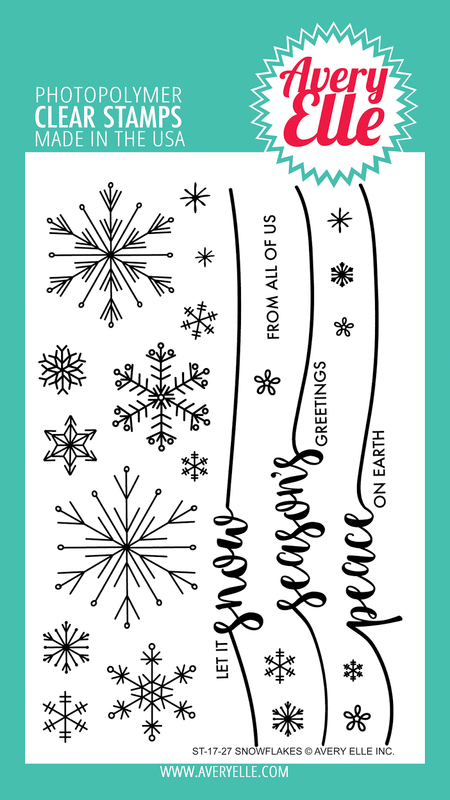 This is a gorgeous Christmas spirit card! The pink is a perfect color.